Understanding the symptoms of kidney disease in cats can help you get your pet the help she needs right away. According to veterinarian Dr. Scott McKay, getting prompt treatment can help you address the underlying cause of the kidney disease and even prolong your cat's life. Kidney disease seems to be an important topic with cat lovers these days. In response to the many questions our Cat Expert receives on this subject, we decided to gather some veterinary insight and opinions about this potentially devastating illness and the effects it can have on a cat's overall health. Dr. Scott McKay, DVM, is a staff vet with Doctors Foster and Smith, the single largest online supplier of pet products in the USA. He also participates at the Doctors Foster and Smith operated Peteducation.com. 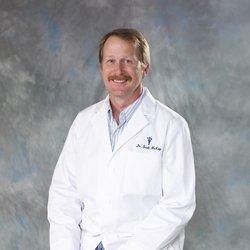 Dr. MacKay is a member of the American Veterinary Medical Association and the Wisconsin Veterinary Medical Association. Dr. McKay, please give us a layman's explanation of what kidney disease is, and how it affects our felines. A) The cat's kidneys play a critical role in balancing the components of blood. When the kidney is diseased, the components of blood become out of balance and illness follows. The kidneys regulate how much water stays in the body. If the cat consumes too much water, the kidneys will increase urine production and void water from the body. If too little water is consumed, the kidneys conserve what water the cat has. In addition, the kidneys regulate certain minerals in the blood. For example: sodium and calcium need to be held in the body at a constant level. The kidneys work very hard at keeping these two minerals in the blood and not losing them in urine. On the other hand, nitrogen, a by-product of protein metabolism, is produced in high levels by cats because their diets contain lots of protein. Too much nitrogen is toxic to the cat's body, so the kidneys must remove nitrogen to maintain health. If nitrogen levels rise because of kidney disease, the cat will become very ill. Fundamentally, kidney (renal) disease occurs when this organ cannot regulate the components of blood. The kidneys also produce a hormone called erythropoietin, which tells the bone marrow to make red blood cells. If the kidneys are not making erythropoietin, the number of red blood cells falls and anemia results. It is difficult, if not impossible, to maintain health if the kidneys are diseased. What are the signs pet owners should watch out for? Does kidney disease affect one age group more than another? Generally speaking, older cats tend to have more kidney problems than younger cats. 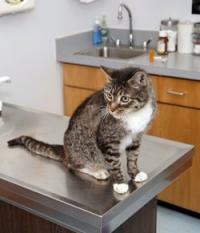 What kind of treatments are available for cats with kidney problems? It depends on what caused the problem. We classify kidney disease as either acute or chronic. Acute renal (kidney) failure can usually be treated by identifying the cause of disease (an infection or a kidney harming toxin), removing it and treating the symptoms. Chronic renal failure is a long term condition that requires long term care. In these cases the cat will need a special diet and medications to maximize its remaining kidney function. Is there anything pet owners can do at home to support the veterinarian's care plan for their pet? There are things pet owners can do at home to support a veterinary care plan for pets. In fact, without a strong commitment from the cat's owner, the treatments recommended by the veterinarian will fail. Essentially, it is the owner's duty to maintain the proper diet, keep up with medications and monitor the cat's progress. What is the prognosis for a cat diagnosed with kidney disease? For cats diagnosed with acute renal failure, the prognosis is fair/good if the cause of the disease is identified early and there hasn't been too much damage to the kidney. In addition, cats with chronic renal failure can live long, comfortable lives if their diet is closely monitored and the proper medications given. These cats need regular visits to their veterinarian to access their condition. LoveToKnow would like to thank Dr. McKay for taking time out of his busy day to speak with us. Whether you'd like to learn more about caring for cats or you need supplies for your pet, you'll find what you're searching for at the following websites.